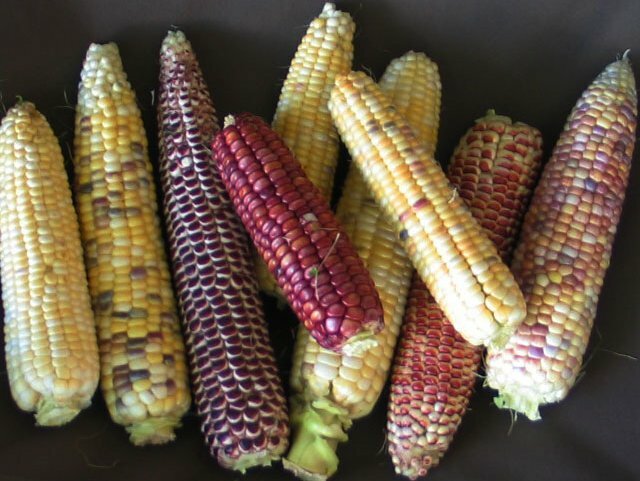 Astronomy Domine sweet corn was developed by Alan Bishop of Hip-Gnosis Seed Development and Bishop's Homegrown. It has become a collaborative effort involving many breeders and growers. 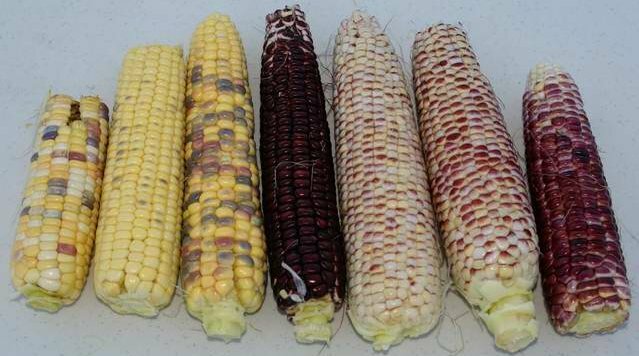 Astronomy Domine may be the most important corn breeding project of this century because of it's * intent to develope the most nutritious and diverse open pollinated sweet corn ever. 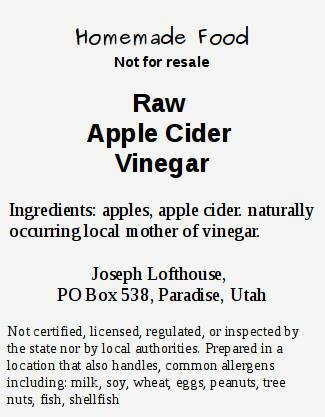 During the 2011 growing season I am adding Alan's current version containing over 170 varieties into my version of Astronomy Domine. I will also be growing small patches based on kernel color. My long term intent is to grow Astronomy Domine seed as both a blend of colors, and as individual colors. 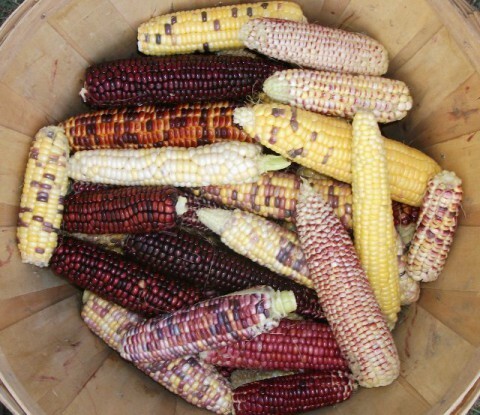 "Astronomy Domine" contributed genes to "Paradise Sweet Corn" which is a multi-colored homozygous sugary enhanced corn. It also contributed genes to "Lofthouse Sweet Corn" a su/se hybrid, named in honor of my father, which is expected to produce offspring with 1/4 of kernels being very tender and sweet, thus combining the reliability and good taste of old fashioned heirloom sweet corn with the added sweetness of modern hybrids.